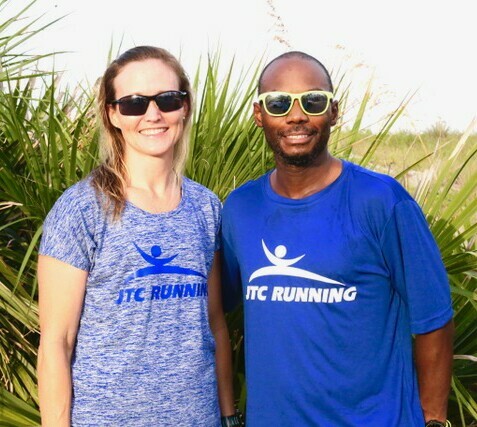 JTC Running and the Florida Striders invite you to enjoy an afternoon of Jumbo Shrimp Baseball together at the Baseball Grounds of Jacksonville at 2 pm on Sunday, June 23, 2019. Tickets are for sale online HERE. Use password run4shrimp to get our special group rate of $35. These tickets are for seats located on the BDO suite level Sky Deck, exclusive open air areas offering privacy, VIP service, and premier seating directly on the deck. Ticket includes an All-You-Can-Eat Buffet Style Picnic- Hamburgers, Hot Dogs, BBQ Chicken, Pulled Pork, Pasta Salad, Potato Salad, Cole Slaw, Cookies, Seasonal Fruit, Tea, Lemonade and Water.